Ancestry Library Edition is a comprehensive online source of information for conducting genealogical research. It includes searchable images of U.S. federal census records, the Social Security Death Index, and a variety of vital, church, court, and immigration records. This database is for in-library use only. HeritageQuest Online is one of America's favorite tools for researching genealogy. Click here to use HeritageQuest on a computer outside of the library; you will need to enter your library card number. Click HERE to access the digital archives of the Daily News Journal and the Carrier's Courier (Sewart Air Force Base newspaper 1949-1968). This resource is for in-library use only. This historical newspaper provides genealogists, researchers and scholars with online, easily-searchable first-hand accounts and unparalleled coverage of the politics, society and events of the time. Sourced from the collection of Tennessee State Library and Archives. Reproduced with permission. (From outside the library, use Login ID: linebaughpl and password: 37130). 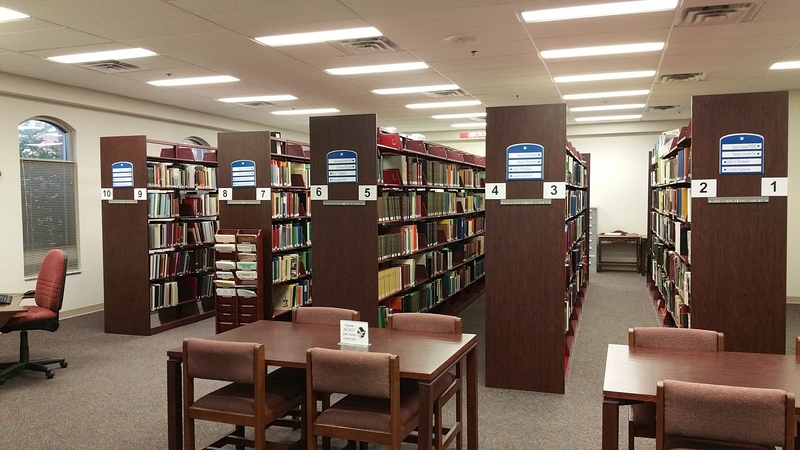 The Historical Research Room (HRR), located on the second floor of Linebaugh Public Library, features Rutherford County materials and Tennessee genealogical resources. The HRR is open during regular library hours, though it does close one half hour before the library closes. The materials in the room are a reference and research collection and are for in-house use only. More than 10,000 books covering the Eastern, Southern, and Midwest regions of the U.S. and more than 5,200 rolls of microfilm - including the large L.W. Anderson that was donated to our historical collection in 1998. Access to Ancestry Library Edition (in-library use only) and HeritageQuest Online. Visit our Research Genealogy page for more information. Click here to use HeritageQuest on a computer outside of the library; you will need to enter your library card number. A microfilm reader/printer, computer access, and a Bookscribe copier. Newspapers from Murfreesboro are on microfilm for 1931 to the present. From 1820-1930 only scattered issues have survived and are available on microfilm. The Smyrna Public Library has a small genealogy and historical research collection, focusing on Rutherford County and Middle Tennessee. A collection of printed material on Rutherford County, including cemetery records, early wills, county census records, community histories, history of the county schools, marriage records, and the Rutherford County Historical Society publications. Rutherford County vertical file - These files contains clippings from local newspapers, pamphlets, and ephemera on subjects relating to Smyrna, Rutherford County, and local individuals. Copies of books and magazine publications by local authors, including EmmetGowan and Brainard Cheney. A collection of photographs and materials from Smyrna's Old Rock School, which was located on the current site of Smyrna Library. A print obituary index (from Rutherford County newspapers) from 1988-present. Extensive collection of printed materials for the State of Tennessee in general and for the counties of Middle Tennessee. Access to Ancestry Library Edition and HeritageQuest Online. Visit our Research Genealogy page for more information. Research assistance may be requested by completing our Research Request Form (PDF). The research fee is $5.00 per name (or inquiry), including postage and up to five copies. If you have questions or need more information about the HRR collection, please contact the Reference Department at 615-893-4131, ext. 117, or email linref@linebaugh.org. The Linda S. Smith Genealogical Group meets the 4th Thursday of the month at 1 p.m. in the Historical Research Room at Linebaugh. All are welcomed. The Smyrna Genealogical Group meets the 1st and 3rd Tuesdays at 1 p.m. Everyone is welcome. The Albert Gore Research Center is a manuscripts repository dedicated to preserving and making available for research primary source materials related to Tennessee history; located at MTSU. 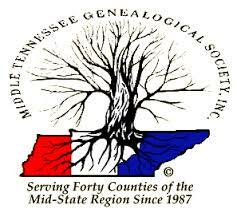 Middle Tennessee Genealogical Society - MTGS serves the 40 counties of Middle Tennessee, hosting genealogical seminars and publishing the Middle Tennessee Journal of Genealogy & History. Rutherford County Archives seeks to preserve and protect the written documents, past and present, generated by the government offices of Rutherford County. Rutherford County Historical Society's purpose is to discover, procure, and preserve the facts, articles, or documents that related to the history of Rutherford County. TNGenWeb is a volunteer project to create a source location for online genealogical research for every county in Tennessee. Tennessee State Library & Archives - Collection of records, manuscripts, and other documents related to Tennessee history and genealogy; located in Nashville. 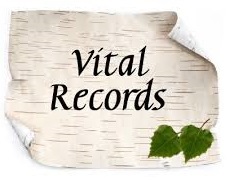 Tennessee Vital Records - How and where to obtain copies of birth, death, marriage, and divorce certificates.